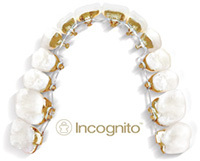 Incognito™ Lingual Braces are placed behind your teeth, so no one will even know you are wearing braces – unless you want them to! These unique Lingual braces are created using state-of-the-art technology and are the only 100% customized, invisible, fixed braces system on the market today. Lingual Braces can give you a beautiful smile, even while you're wearing them. Lingual Braces are a unique choice that allows our Houston patients to smile with confidence both during and after treatment. They are placed on the back of your teeth and are completely hidden from view. Lingual Braces Houston: Dr. Tom Hall is the best orthodontist in Houston for adults and teens seeking lingual braces. Because no two people are alike, no two sets of Lingual Braces are alike. Unlike other braces, Lingual Braces are 100% customized to the shape of your teeth and to your individual dental situation. These advances are designed to minimize the amount of time your doctor spends making adjustments and results may be seen more quickly than with traditional braces. You get efficient, effective tooth movement and great aesthetics. Men and women, teenagers or adults, from 13 years to over 60 years of age, from students to professionals, all can choose invisible braces. 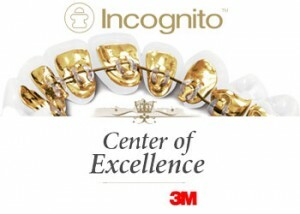 If you desire beautiful straight teeth, you are a good candidate for Incognito Braces. Look great while you straighten your teeth… invisibly with lingual braces!